The kids made paper clay ornaments last weekend. That paper clay stuff is pretty fun and super easy. No baking, no weird scent coming out of the oven, no accidental burning. Just a bit of old fashion patience while waiting for the clay to dry. 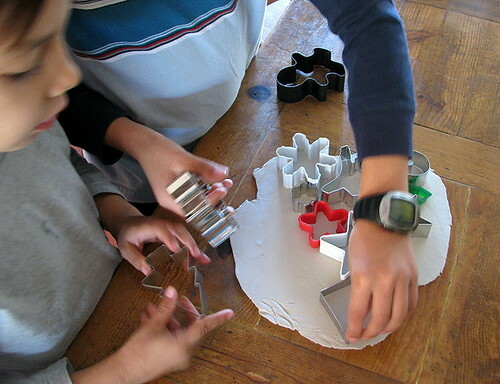 I helped roll of the dough and the kids used cookie cutters to cut out different shapes. 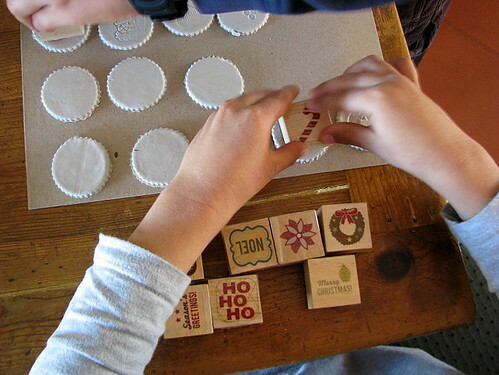 Then we used holiday stamps to make festive impressions. Once they dry, they can be painted. The kids didn’t want to paint them, so we are keeping them white, which is still nice. I just used my finger nail to scrape the edges and clean them up a bit. Then we added some red/white cotton twine so they can be hung on the tree. 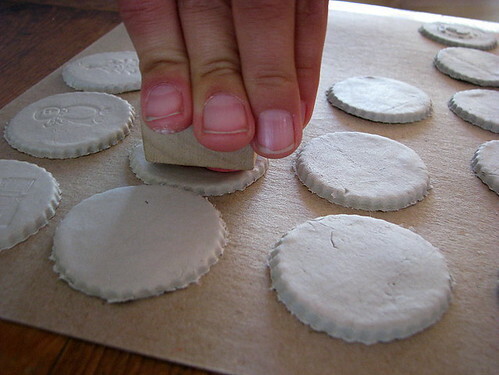 The smaller ones can by used as gift tags or magnets. I’ve also made some little teeny ones to glue on to ring blanks. I’ll share all this with you later. This entry was posted in Fun kid stuff, Holiday Hoopla, i make stuff. Bookmark the permalink. Those are so pretty and look like so much fun! I love it! 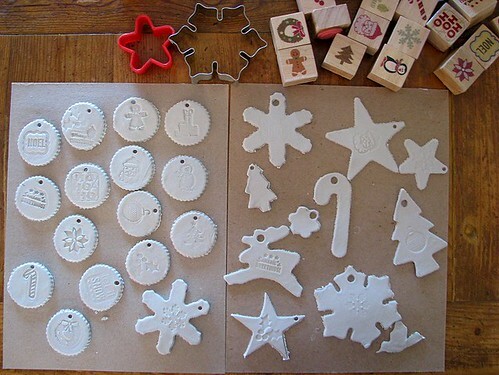 I wonder if the bottom most bottle cap ornaments could be used to create a beaded curtain. Just an idea, 🙂 I saw something similar recently. We’ve been making clay ornaments too! But yours and your kids’ look a lot more professional, I must say. We went the oven-bake method. Might try it your way next year. I think white is just perfect.